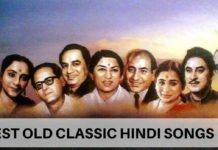 There was a time when males used to use Dupattas to cover and enjoy ladies Sangeet, soon it became a part of Bollywood too. 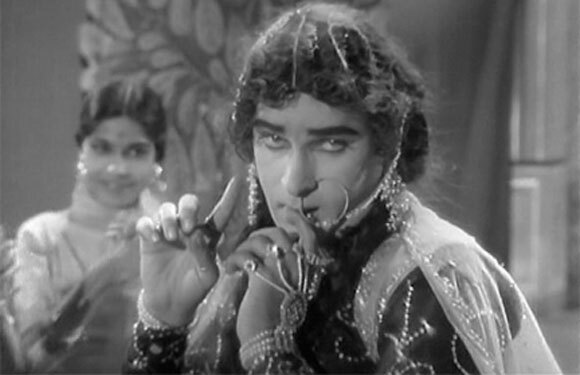 Audiences loved it on screen and then came a time when male actors cross dressed as females, and the audience went crazy. Male actors with makeup, long hairs, high heels and sizzling styles of female. Mr. Perfectionist, Aamir Khan did an item song, “Dole Dole Dil ” as a woman in movie Baazi. 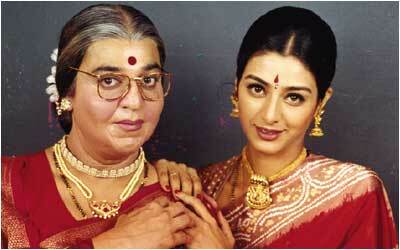 Then he became a woman for advertisements like Tata-Sky, Coco-Cola and recently for Godrej. Govinda is also known as Comic King, has done many roles as women. The most famous of those roles is from the movie Aunty No. 1. 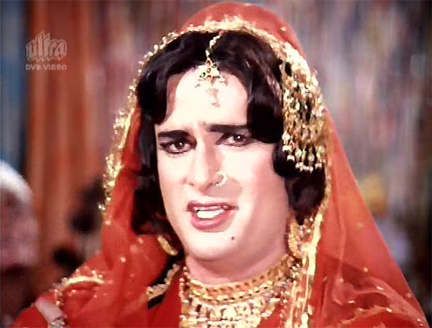 Earlier also, Govinda pulled off a role of a woman in the movie Raja Babu in 1994. Riteish has done an unforgettable female role in the movie, “Apna Sapna Money Money”. His thumkas and all the Adas’s have made public go mad. The macho man of Bollywood has also made an appearance as a woman in the movie “Jaan-E-Man” in a halter dress. I must admit, Salman’s muscular body couldn’t grab much appreciation from audiences. 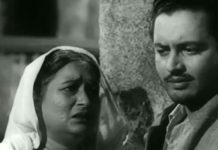 The Romance King of Bollywood also tried his hands as a woman in movie Duplicate, but couldn’t pull it off really well. All the biggies were turning female in movies, so did Shahid Kapoor in “Milenge Milenge”. Short skirt, blonde hairs and high heels. To a surprise, Shahid pulled off the role quite well. 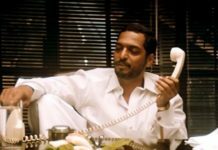 Shreyas Talpade has proven his acting skills in every role he performed. Shreyas says, “Being a woman is an art” and he is quite good in this art. Shreyas performed as a female in the movie, Paying Guest. Shammi Kapoor has always performed his roles with a charisma, he has always brought magic into roles. He dressed up as a woman and nailed it in the movie Bluff Master in 1963. One of the most dashing guys of Bollywood of 80’s, has played a role of a female in Haseena Maan Jayegi, and even danced like a courtesan. Chachi 420 has grabbed many eyeballs for an amazing role played by Kamal Haasan in the movie. Her role of Chachi had an appropriate mix of womanness, It never felt you were watching a man. Hats off to Kamal Haasan. Inhe Aurat Banne ka bada showk hai Sbse jada Ritesh Deshmukh ko! Shahrukh khan kaisa chutiya lag raha hay 😛 :v.